Whenever you get your carpets professionally cleaned, one of the most important things to know is how long until you can walk on your carpet again. Whenever your home is professionally cleaned, the machinery and solutions used are safe for you and your family. But contact with them instantly after a cleaning could ruin that spot and cause a re-cleaning to be needed to ensure the area is clean. If stepped on, the spot could contract dirt or grime, and it wouldn’t be fun to have to watch the area be cleaned again. 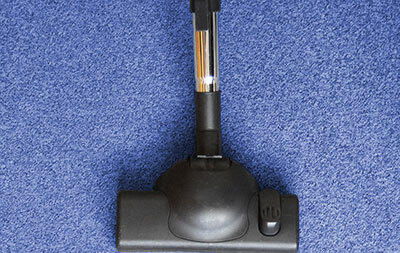 How soon can I walk on the carpet after cleaning? Well, this can depend. As professionals, we will be sure to tell you how long until you can step on your freshly cleaned carpet. Whether it be as short as five minutes or longer than 15, you can be sure it’s for the good of your carpet. With so many different stains and problems your carpet can contract, this calls for many different solutions. And with so many different solutions, it’s safe to say there are always more extreme cleaners. With a spill of a substance that’s a little too tough for the normal solution, the big boys have to be brought in. With a stronger clean, these spots can be removed, but extra time may be needed before you can take a step on that area of your carpet. With spills such as wine or strongly colored sodas, there’s no telling what product may be needed for the occasion. The sooner you call for professional aid is for the better, since stains are always easier removed if they aren’t allowed to enter deeper parts of your carpet as fast. If you find your household products to be lacking on a certain spill, give Boerne Carpet Cleaning Pros a call. With the best cleaning care in the Boerne area, we will make it seem like that spill never occurred in the first place. We have a wide variety of products and solutions to choose from, and in combination with our powerful truck mounted hot water extractor, we will have those stains cleaned up in no time. Odors are another problem that could be plaguing your carpet as well. With our soft yet powerful deodorizers, no odors stand a chance. With all of these options, there’s never a good estimate for how long it will take until you can step foot on your beautiful carpet. But knowing that the process is very delicate and that our experts at Boerne Carpet Cleaning Pros take great care in making sure your carpets get the best cleaning they have ever had can really ease your mind. With so many different carpet cleaning jobs we’ve been called too, we can make sure your case is no different from the satisfaction we receive. With every cleaning, we won’t leave until you are completely satisfied with our work. 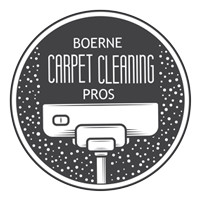 With this all being said, give Boerne Carpet Cleaning Pros a call, and we will be sure to give your carpets the great care and cleaning they deserve.